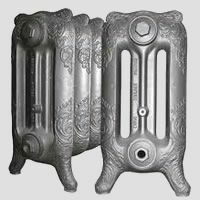 Cast Iron Radiators are an excellent heating solution, look absolutely beautiful and are eco-friendly (they should last for 100 years). 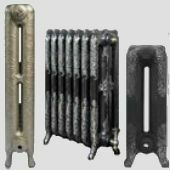 Here you will find everything you need to bring stylish cast iron radiators into your home or office. 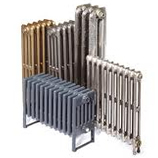 All our cast iron radiators can be custom built or specified by section. 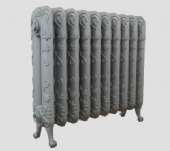 We also have a range of standard sized reproduction cast iron radiators. Choose from a full range of styles and shapes from our straightforward and popular 4 column cast iron radiators to decorative cast iron radiators such as the Parisian. 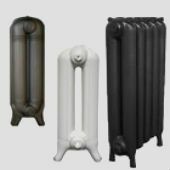 Buy with confidence: All our cast iron radiators are pressure tested and are guaranteed up to 25 years. 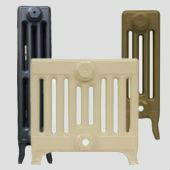 We manufacture many of the cast iron radiators ourselves at our North Yorkshire Factory - which has produced cast iron radiators for thousands of satisfied customers in the UK and around the World.